Sell your products easily at the eBay online marketplace. Link your current webshop stock to your eBay store. Advertise and sell your products to millions of potential buyers. eBay is the global online trading place where users can trade locally, nationally and internationally. With the eBay connector App you can easily offer all products in your webshop on eBay, with more than 1 million potential buyers worldwide. How does eBay connector work? 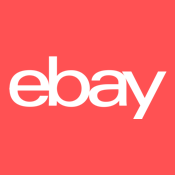 With the eBay connector App it is possible to offer your products within a few mouse clicks on the (inter-) national auction site of eBay. Step 2: You select which product categories must be linked to your eBay store. Step 3:Select your preferred payment method. Step 4: Start the sale. Ebay Connector takes care of the rest. After this, the products are fully automated synchronized with the connected eBay stores. Synchronization of Lightspeed to eBay, not vice versa. Available for: United States, Canada (English), Great Britain, Australia, Austria, Belgium (French), France, Germany, Motors, Italy, Belgium (Dutch), Spain, Switzerland, Hong Kong, India, Ireland, Malaysia, Canada (French), Philippines, Poland and Singapore. With this App you make a connection between your Lightspeed shop and your eBay account. You must have a business eBay account and a subscription to an eBay store.